I was out of town during the Solstice last week, and after getting home late last night I felt that my house was missing something related to the season. I hadn’t felt like doing much holiday decorating up until now, but today it was grey and rainy. All I wanted was some light and a reminder that despite it being the official beginning of winter, every living thing around will begin to respond to the now-lengthening days with new growth. 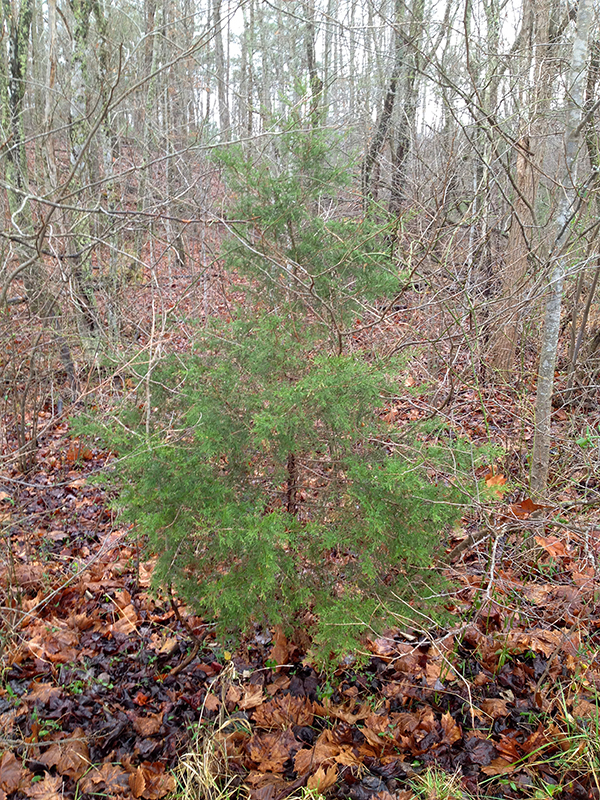 I put on my boots and walked the woods behind my house until I found a little cedar tree that would serve to celebrate both the Solstice and Christmas. I passed by many lusher, more evenly formed saplings, as they were well-positioned to grow into lovely trees. Instead of one of these more perfect specimens I selected a tree growing at the wood line with most of its branches on one side reaching toward the light—fitting for a Solstice tree. It was growing in the shadow of a nice tulip poplar, and as tulip polars are the main source of nectar for the declining honeybee population around here, I figured I’d eliminate one of the poplar’s competitors. 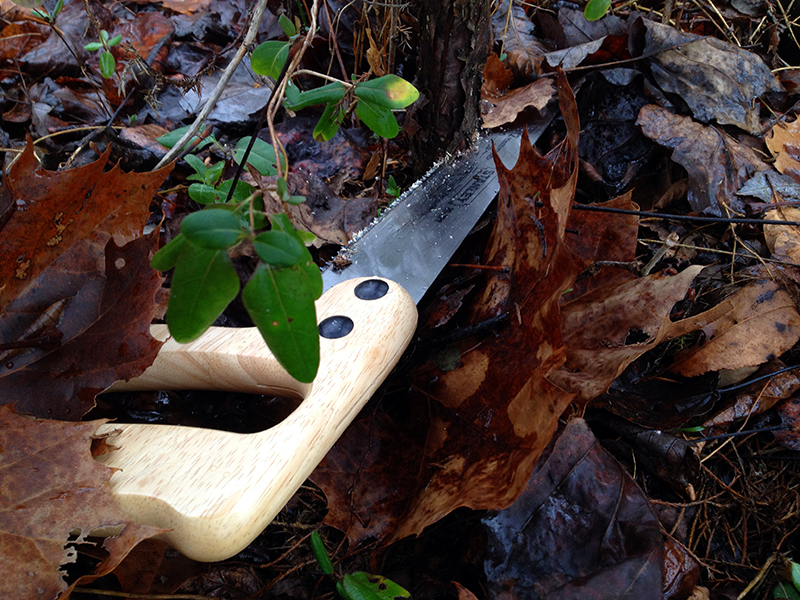 So with a few strokes of the saw, down came the cedar, and I dragged it home across the field. 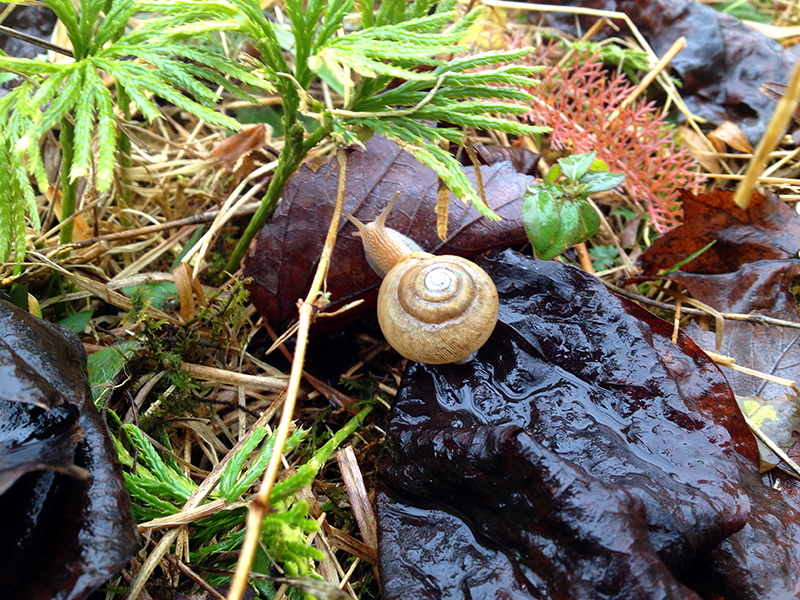 Along the way I saw a few exquisite things, the first being this snail. After a week in big cities, including Manhattan, marveling at exclusively man-made beauty with nary a natural thing in sight, spying this perfect snail in the damp field almost made me cry with the relief and comfort of being home. 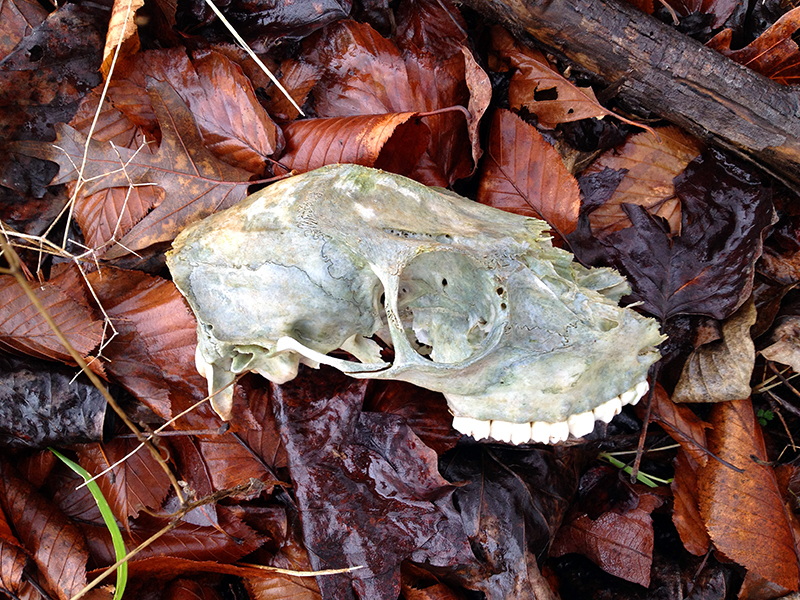 Then I checked up on the deer skull that’s been lying in this same spot ever since I moved here four years ago. The first year it was blazing white among the leaves, but each year the skull gets grayer and more of its nose is eaten off by rodents, giving it an ever more human profile. It’s a memento mori if I ever saw one. Back home, my scrawny little cedar’s trunk was too small to fit in my Christmas tree stand. 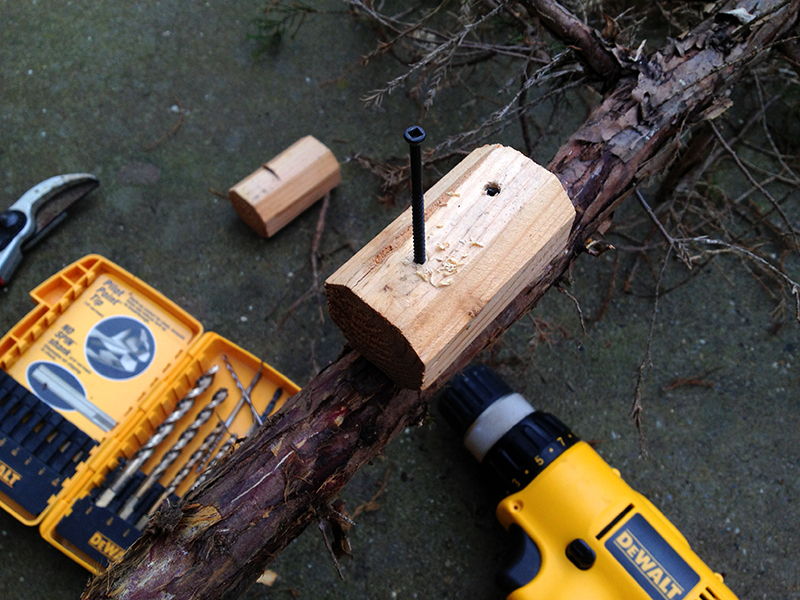 I screwed a few blocks of scrap wood to its trunk to pad it out enough to fit the stand. Then I carried it inside and straightened it as well as one could a tree with a scoliotic trunk. I tossed two strands of mini lights around the cedar, filled the holder with water, and threw a couple of old wool rugs around the base. My tree is free, free-range, sparse, crooked and lovely. Instead of balsam, it smells like cat pee. But it’s a reminder of light and life during these dark days, and this year it is all that I wanted. I came across your blog while doing research on : Bona fide Farms” in North Carolina. I Inherited my parents Pecan Farm where I grew up since 1959. The city is fighting me from keeping the farm. We have a well dug by my fathers hands as well as many memories including growing christmas trees. Have taught astronomy and stargazing and celebrate the solstices as well as cross quarter days that track the turning of the great wheel in the sky. Very best wishes and Blessed Be! Hi, Joseph! Thanks for stopping by. Best of luck with your farm–I hope you get to keep it in the family! 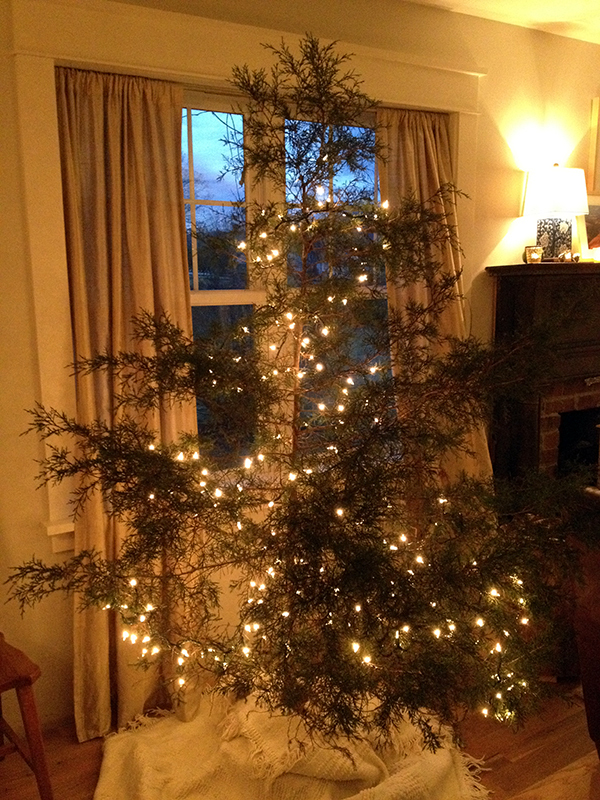 You are currently reading A Solstice/Christmas cedar at Bonafide Farm.